Join our Parent Teacher Organization! Joining the PTO is a great way to stay involved with your child's education, meet other parents, and help the school reach it's goals. 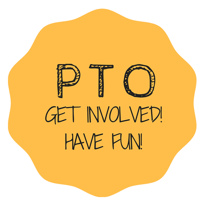 The PTO organizes several special events throughout the year, including social meet-ups, parties, fundraising opportunities, and holiday events. Some of these events include a Family BBQ, a Casino Royale Night (parents only), a Halloween Festival, and various fundraisers and "dine-out" nights. PTO meetings are typically held on the second Tuesday of every month at a volunteer’s home in the evening. These meetings are not only a way to get involved in your child’s early educational experiences but to meet other parents and have fun as well! If you are interested in volunteering, please contact Lauren Brady at lwppto@gmail.com anytime throughout the school year. PTO Meeting: We hope you had a wonderful holiday season & enjoyed the downtime with your kids! December was a busy month and we are incredibly grateful to everyone who participated in Adopt-A-Family and also contributed to your class gifts. THANK YOU!! This month, we are looking forward to kicking off 2019 with our PTO meeting on a NEW DATE - Tuesday, January 15 at 6:30pm (drinks + apps) / meeting begins at 7:00pm. We look forward to sharing with you what we have in store for the New Year, including a fundraiser with Art To Remember, an adult-only social, another fundraiser with Porto's for Easter / Passover and our year-end event, FIESTA! We would love for you to join us! PTO Gives Back returns this month with a Toy Drive! Please drop your gently used toys in the PTO Gives Back box at the front of the school between January 7 - 14. This is a great opportunity to clean out closets and purge from the holiday! Mabels Labels, is all year long fundraiser. click here for the link then go to 'Support A Fundraiser' then find 'Lighted Window Preschool (La Canada)' in the drop down menu to order. If you have any questions, want to get involved or just drop us a note, please e-mail us at lwppto@gmail.com.